The journey to the famous buffalo market in Bac Ha. Then we passed the Lung Cai slope to stand up, across the top of the Gio Pass, dropping into the beautiful Nan Ma valley as a beautiful picture. From there, keep going another 25km of meandering mountain road to reach Xin Man border gate. 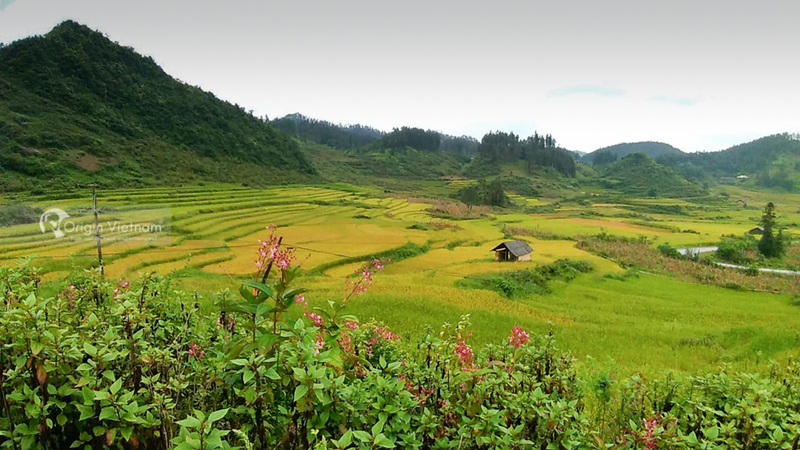 It's one of the most remote place of Ha Giang. Our destinations are no stranger to people who like to "Move". But this time is a new discovery, which is the road of Lung Cai, which is cloudy all year round. Originally there were two roads leading to Coc Pai from Bac Ha. The first road is about 25km long, with inter-district cars running under the name of Nan Ma. The other road is only a road co-ordinate the moss-covered moss all year round. It's very difficult to go. 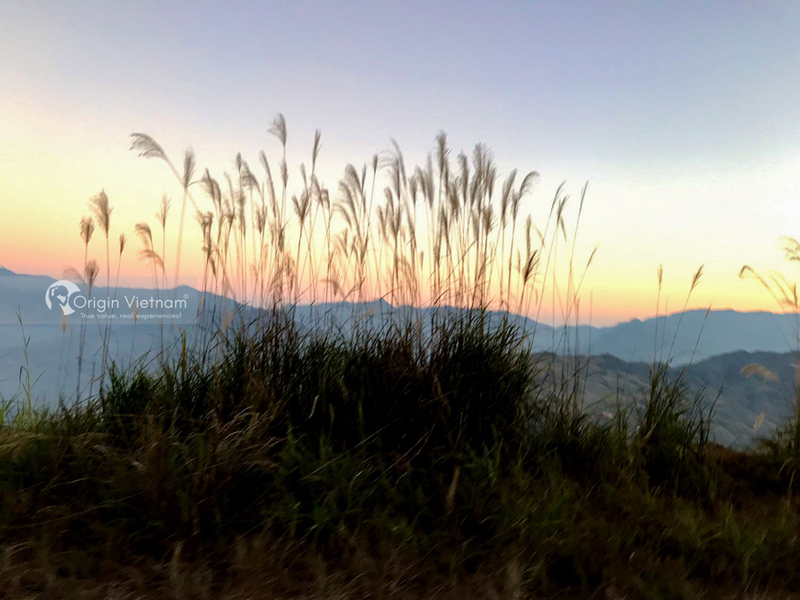 It can be imagined that the road we followed in the correct shape of A. Bac Ha is the foot, and from there going the ramp (Nan Ma) to Coc Pai is a familiar road and we climbed to the top of the letter A Newly sloping down to the other end. From the turn of Nam Ma - Lung Cai, the road starts to struggle with a steep slope. When leaving Bac Ha market, it was still beautiful and sunny. But just a little bit away, the clouds were thick and thick. The higher the air, the cooler, and what we are most worried about has happened. It's not really rain, it's just "too cloudy". But only that makes the car buckle in front of the slopes, sometimes have to push the car. Fluttering in the silvery mist is the houses of the Mong and Tay people with colorful skirts like bright butterfly wings. That reassure our spirit of confusion. From Coc Pai, the road going to the border market (Xin Man border gate) is 25km. It is high and steep but not difficult as before. The paved road led to the gate. 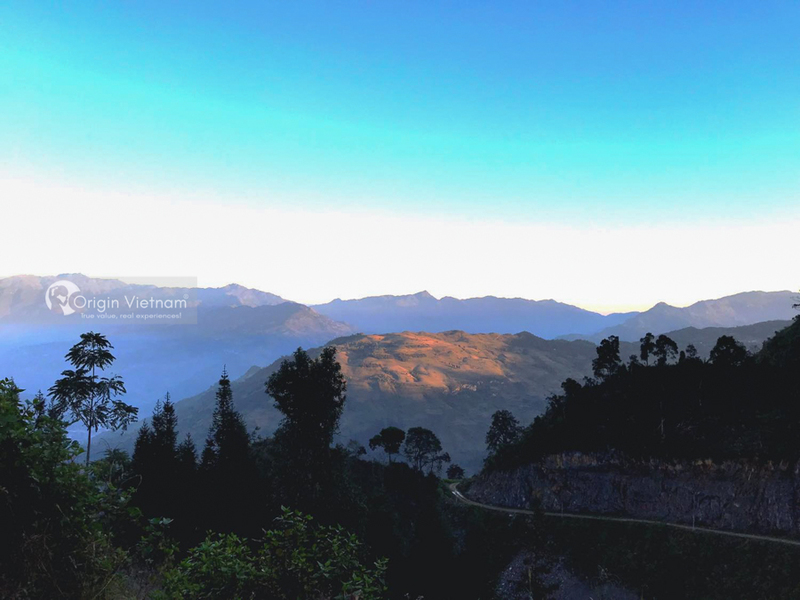 The majestic road, winding through the mountains like a silk strip leading up to the sky with bends and altitude increases rapidly. Under the valley of the flowing and imaginary River flowing in the golden sun like honey, stuck between the green of the mountains. At an altitude of 1,654m, the climate here is cool all year round, located in a ravishing valley. The border guards said. 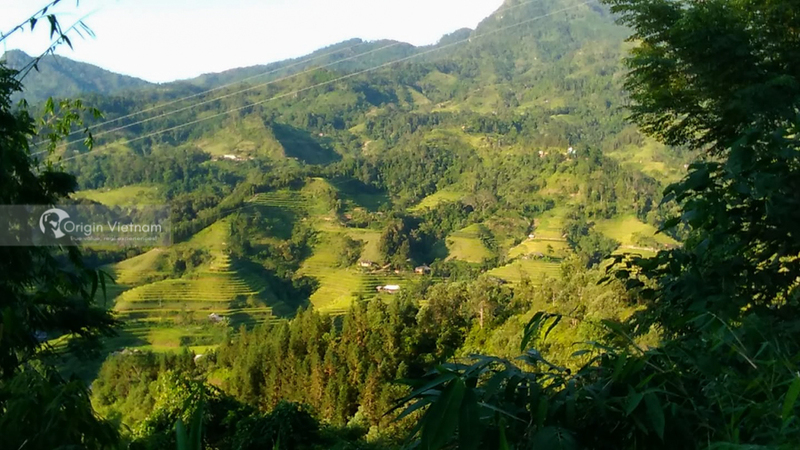 It's consideration as Sapa of Ha Giang. In the soft golden sunshine of the summer day. We immerse ourselves in the chilly atmosphere of the continent, reviewing the past just under the landmark and the wall of demarcation between Vietnam and China from the 1940 was created here. The squeeze is proud of the soldiers who are guarding the sovereignty of the country day and night.